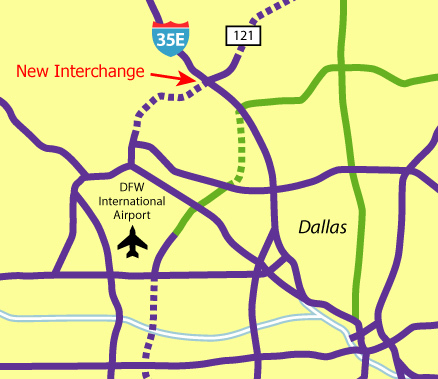 Interchange construction is about 50% complete. 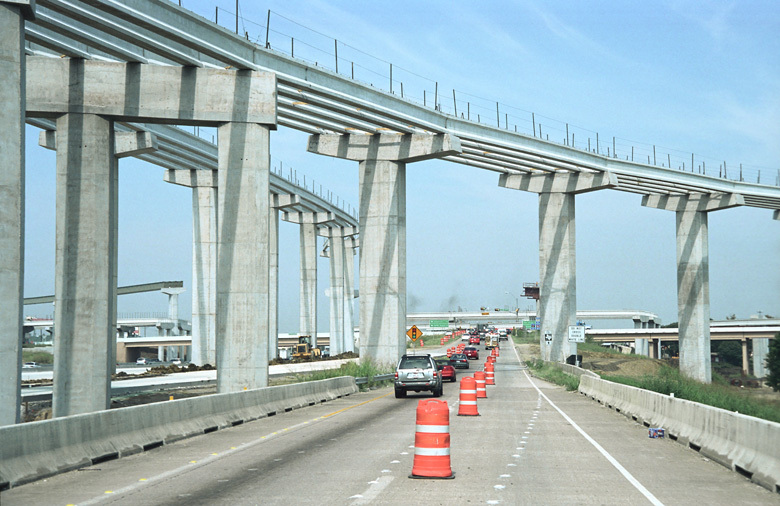 Although this interchange and the section of SH 121 under construction are financed with gasoline tax funds, the local MPO (NCTCOG) voted to place a toll on SH 121 on September 9. (2004-09-11) Looking northbound along the IH-35E feeder. 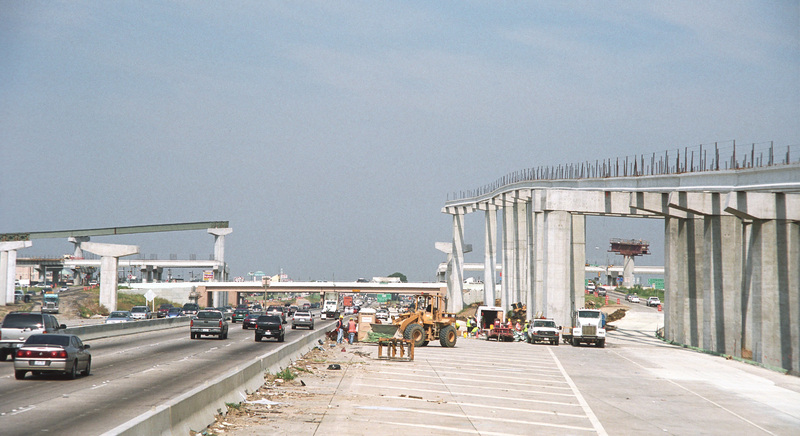 (2004-09-11) Looking north across the interchange. 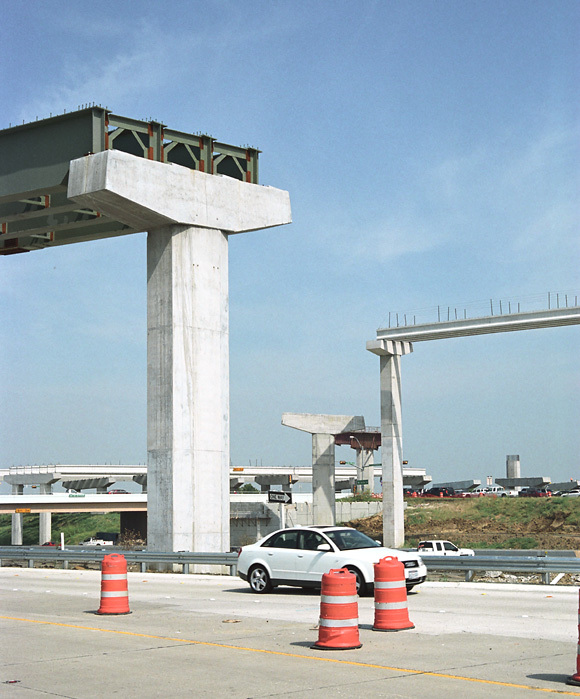 The IH-35W main lanes are at ground level, and the SH 121 main lane structures are visible in the background. 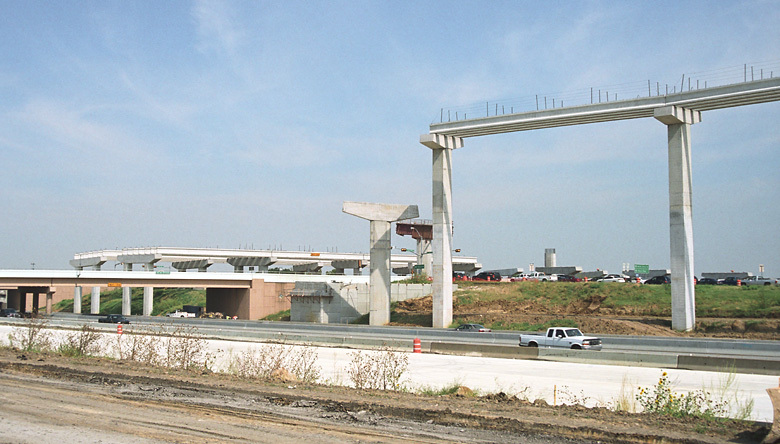 (2004-09-11) Looking north across the interchange.